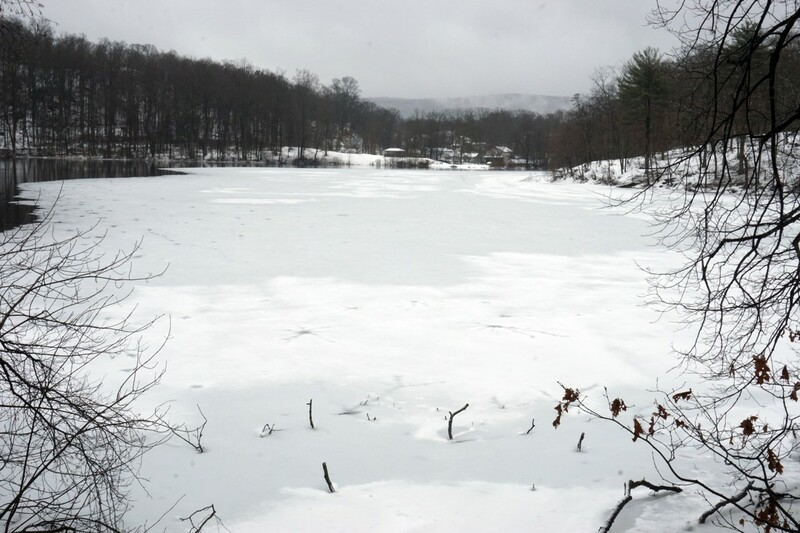 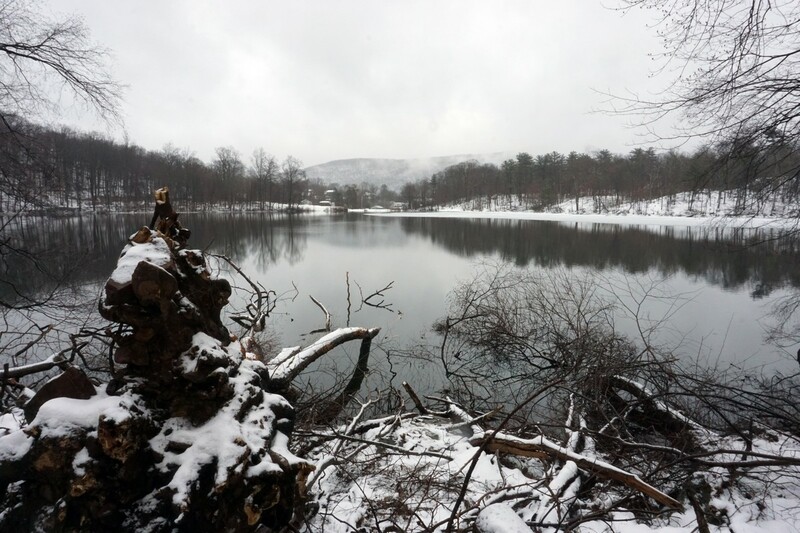 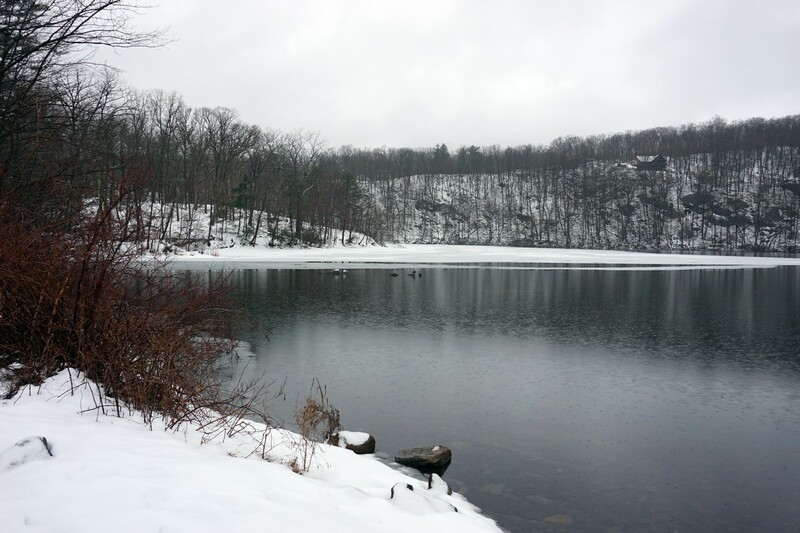 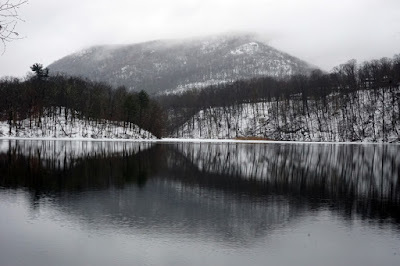 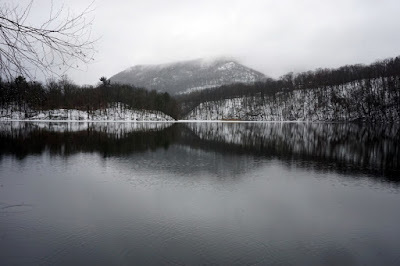 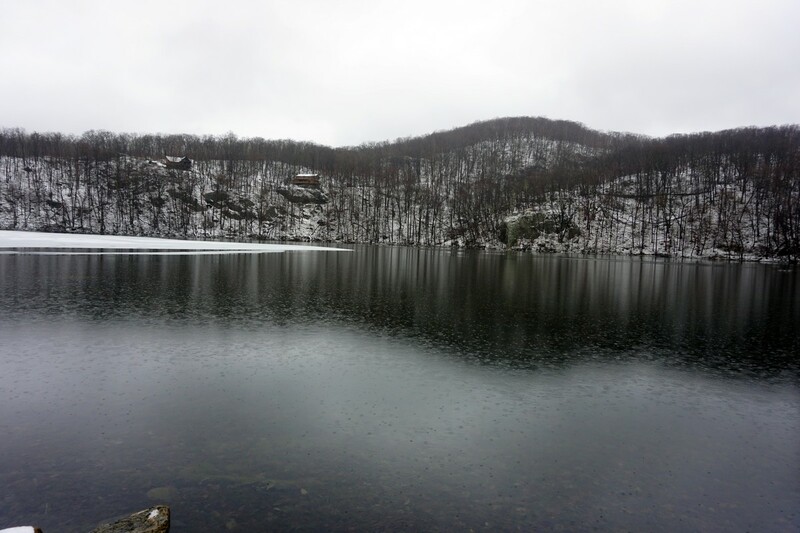 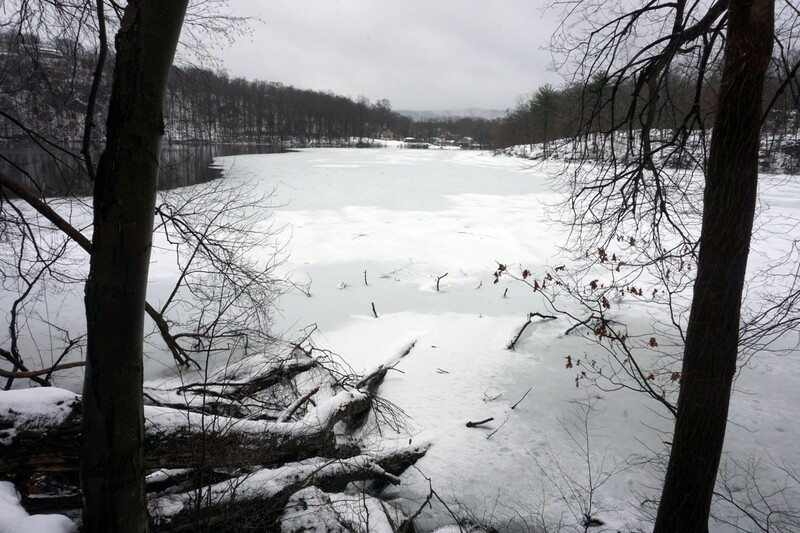 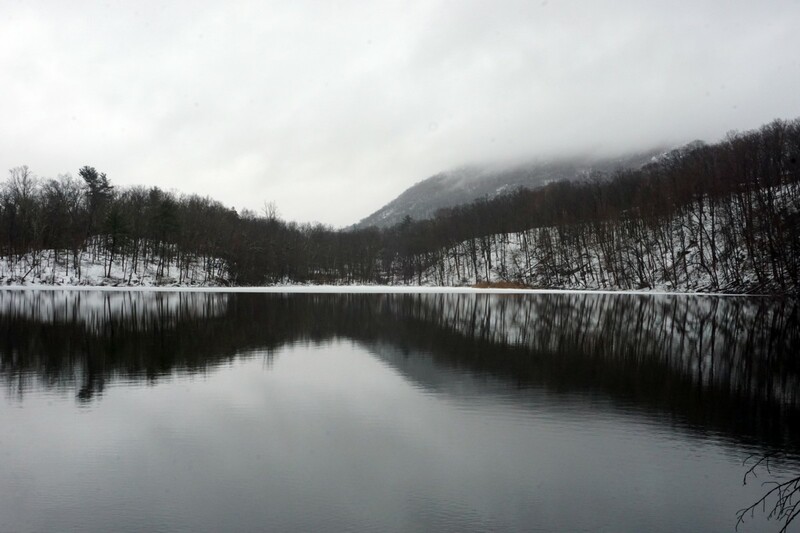 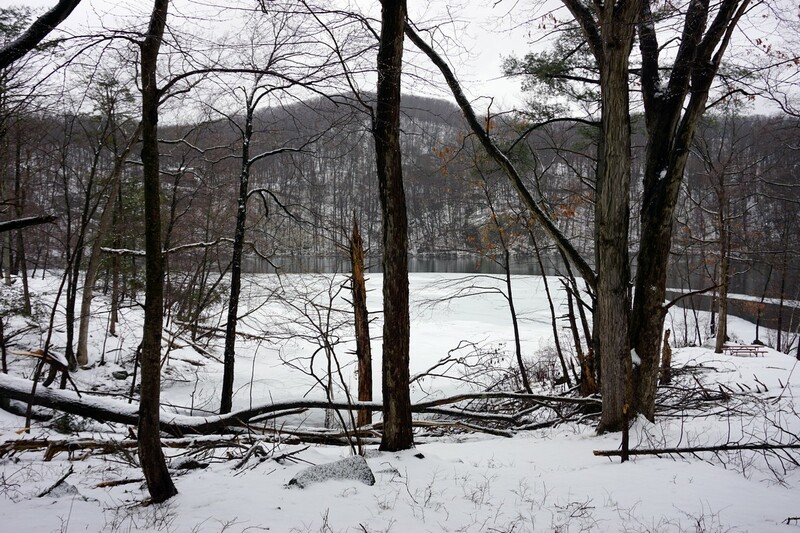 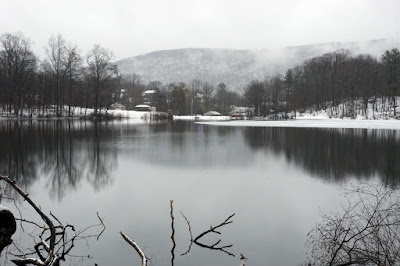 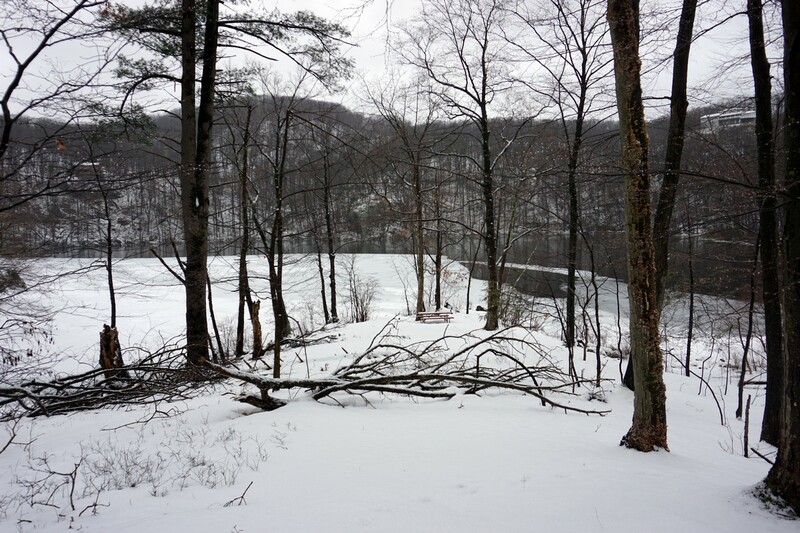 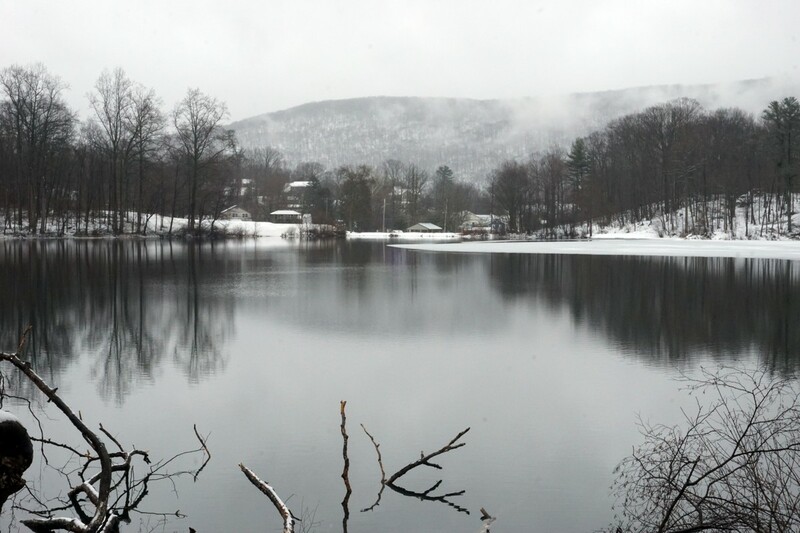 Brooks Lake is a very scenic lake on the northern fringes of Bear Mountain State Park. 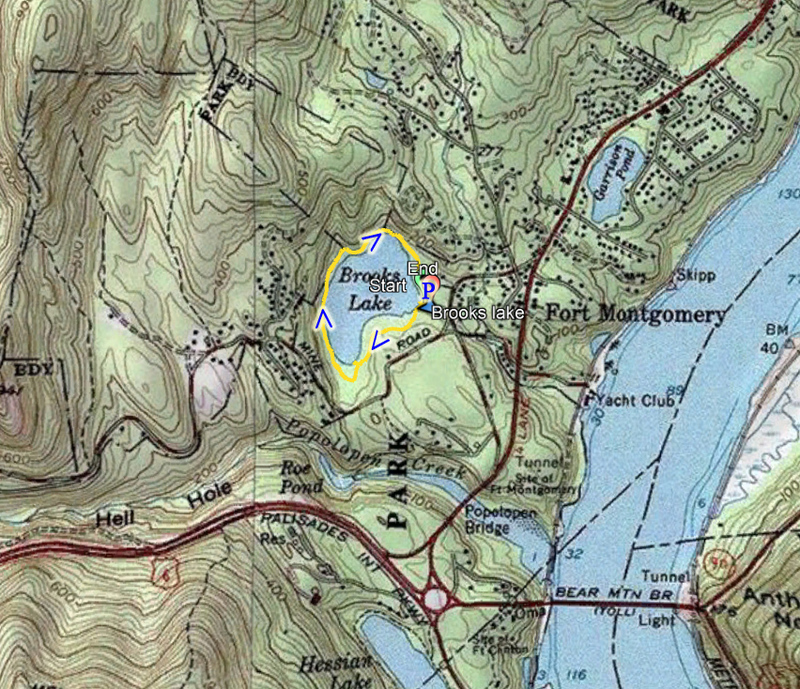 Visible from the top of Bear Mountain, at the northern view, Brooks Lake has a loop trail around it. 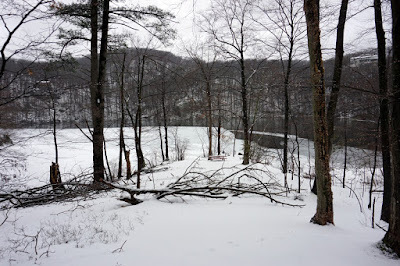 The weather had been interesting, with the day starting off with snow and then turning into a cold rain. 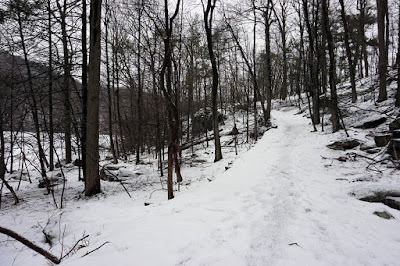 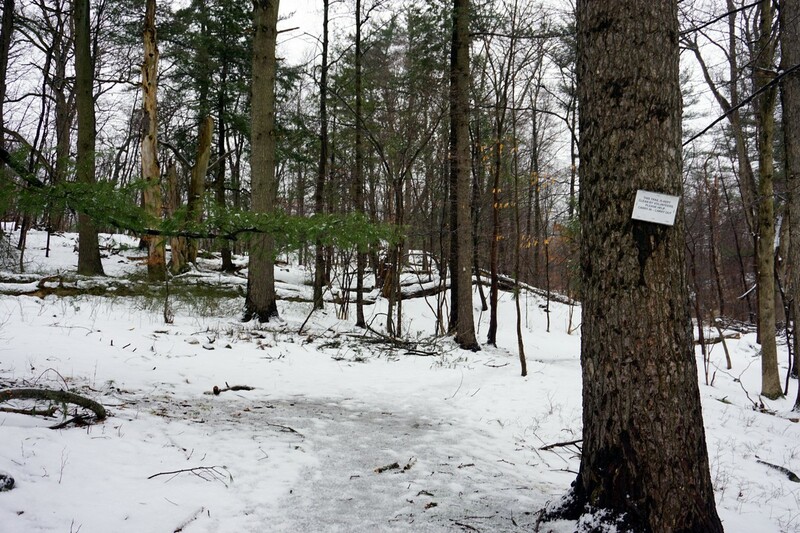 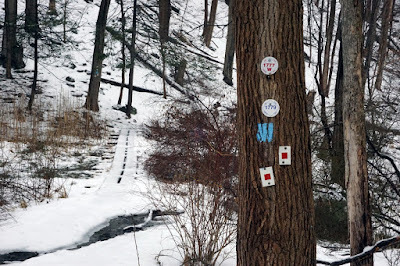 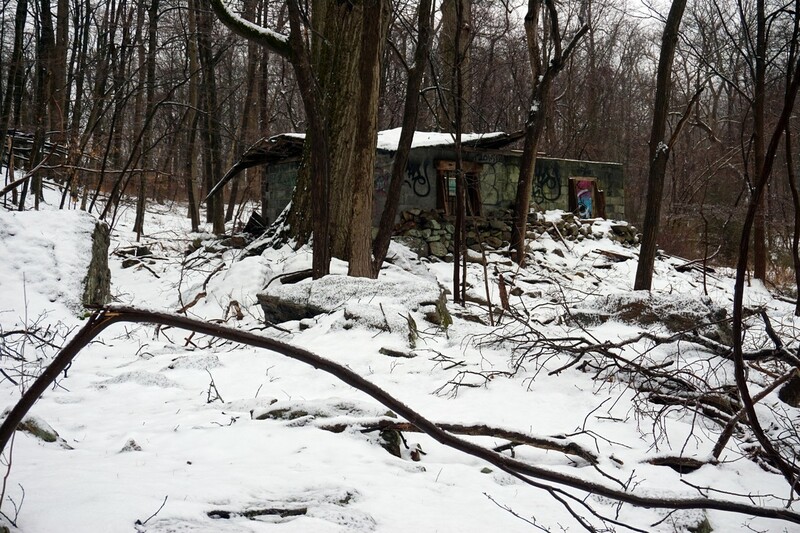 The snow had not melted from the rain, and it has just slowed down by the time I started this hike. Because of the poor weather conditions, I chose to do a short and easy hike, and dressed for the occasion. 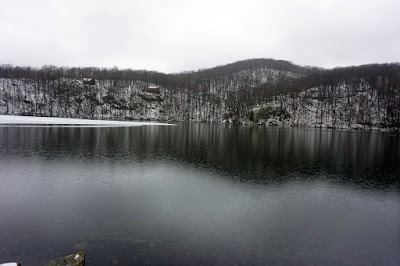 It was drizzling and very foggy with poor visibility during the hike. 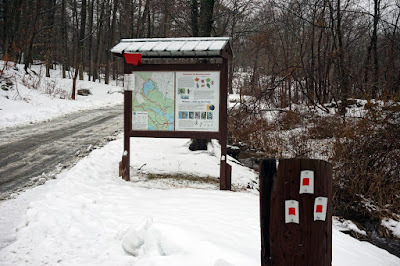 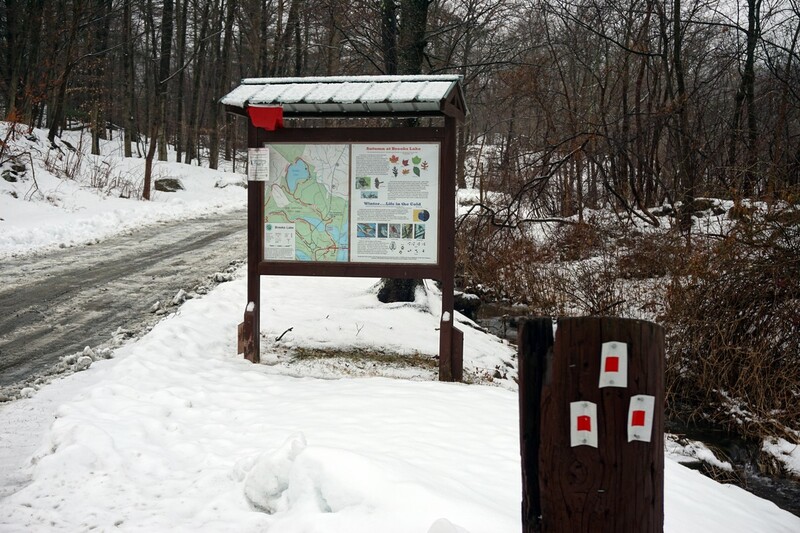 I parked at the Brooks Lake parking area, and took the trail south, to the outlet, where I crossed the bridge and intersected the other park trails. I then walked along the the west side and then the north side of the lake, and then back to my car.